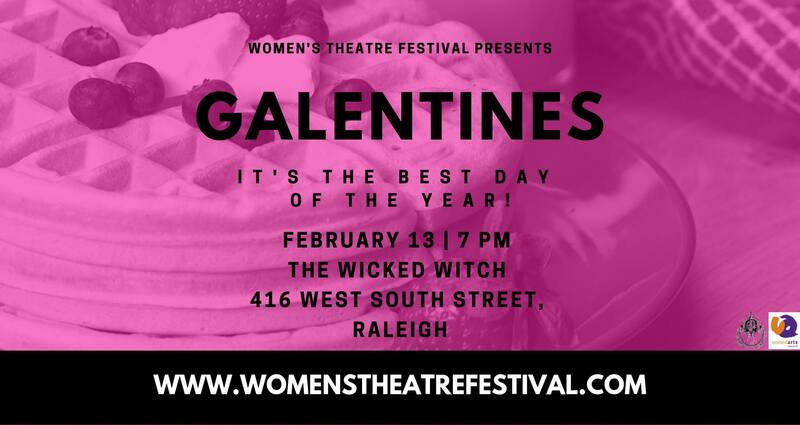 Women’s Theatre Festival would like to invite you to our Galentines Day Karaoke and Craft Party! In honor of the best day of the year we will be gathering at the Wicked Witch to eat waffles, sing karaoke, and craft! Join us on February 13 at 7 p.m. in the Wicked Witch! Just wanna sing and eat waffles? Our $10 Galentines Karaoke and Chill ticket is for you! Grab a mimosa at the cash bar make some new friends and enjoy the fully stocked Waffle Bar! In honor of Leslie Knope’s crafty side we have created our $20 Galentines Get Crafty Ticket package which includes the karaoke, the waffle bar, and a cross stitch craft kit designed by Ruth Berry. It includes everything you need to make a cross stitch masterpiece, and you can get started right there with help from our cross stitching expert. For our $50 Galentines Treat Yo’ Self Ticket you get all this plus a Treat Yo’ Self Goodie Bag chock full of amazing self-care treats. Finally the Galentines BFF package For Two gets you and your best pal two tickets, two Treat Yo’Self goodie bags, a special Besties Gift to share with your pal, and a guaranteed Karaoke slot for you to declare your love, through song, to your BFF. Make this Galentines the best one ever for only $100. *I firmly believe Leslie would have used this language if she had had it at the time!